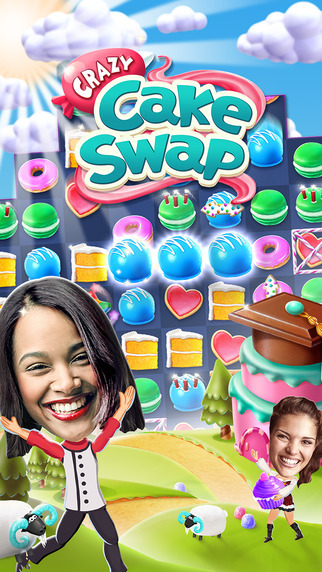 Swap cakes in a crazy match-3 adventure starring YOU and YOUR friends! 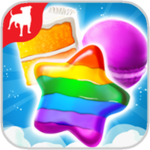 Escape to a crazy world where streets are filled with treats and YOU are the star baker. 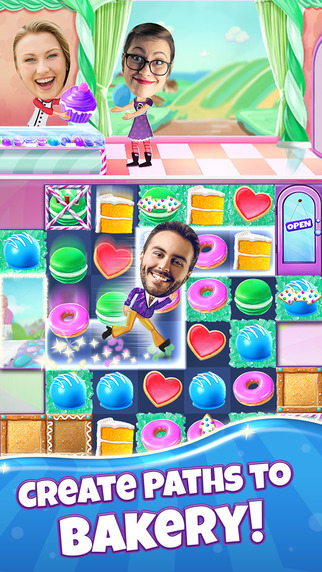 Satisfy YOUR friends’ cravings for sweets as you serve treats to become the best baker in the land. 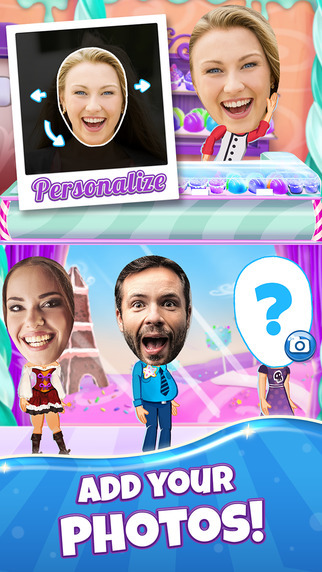 Increasingly challenging puzzle play includes new ways to match and win. 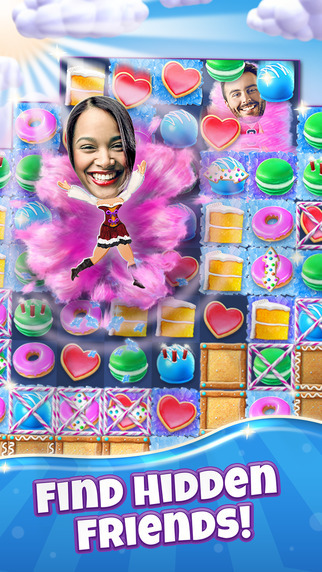 Solve hundreds of crazy cascading levels and match your way to sweet victory! 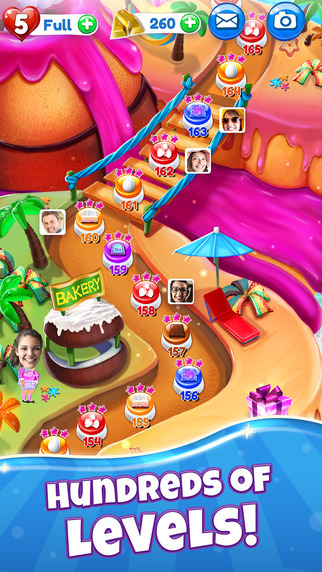 However, if you just chip away at Crazy Cake Swap, play a few levels, then dip back out again for a bit, it’s pretty fun. In fact, it’s one of the more satisfying Match-3 games currently out there, with its variety of different game types ensuring you won’t get bored too soon.